This article outlines the region Perdan. 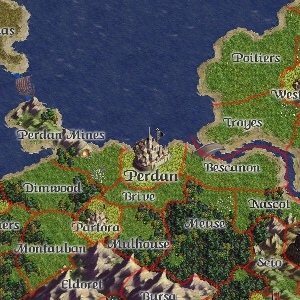 For the realm of Perdan, see Perdan (Realm). The City of Perdan is the founding region of The Kingdom Of Perdan and is the richest and the second largest city on the East Continent. It is located on the southern coast of Kalmar Bay. This page was last modified on 10 April 2016, at 20:02.